Choose Parrelli Optical if you are looking for prescription contacts in or around Cambridge, MA. With more extensive exams and a wider variety of products to choose from, it is easy to see why so many people recommend Parrelli Optical to their friends and family. 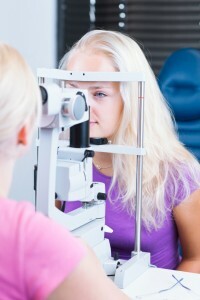 At Parrelli Optical, we provide one of the most comprehensive exams available. Our trained doctors screen each person’s eyes for several serious problems. While some companies may not provide contacts for people with certain eye conditions, we pride ourselves in not only providing lenses to such individuals but also ensuring a perfect fit. Our company uses the latest technology to do this, which enables us to prescribe contacts to people with astigmatism, bifocals, nearsightedness, farsightedness and a variety of other conditions. With thousands of types of contacts available, Parrelli is able to provide our customers with nearly any contacts they want. We also offer free trials in cooperation with certain companies that provide these options. Our goal is to help each person find the right brand and type of contacts to fit his or her unique needs and desires. To learn why Parrelli Optical is one of the best providers of prescription contacts in Cambridge, MA, call or visit us today!